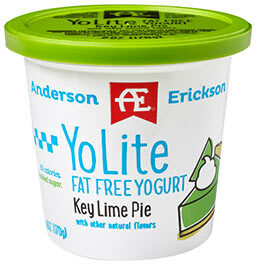 (Key Lime Pie) Cultured Nonfat Milk, Whey Protein Concentrate, Chicory Root (Vegetable Fiber), Lime Flavor, Natural Flavors, Modified Corn Starch, Kosher Gelatin, Sucralose, Turmeric, Vitamin D3. Probiotics: Streptococcus Thermophilus, L. Bulgaricus, L. Acidophilus, Bifidobacterium Lactis. Each 6 oz. serving provides high quality protein to keep you energized and full along with calcium, vitamin D, magnesium and potassium.